How to Throw the Most Epic Halloween Party Ever! Any plans for your Halloween weekend?? Whether you’re celebrating this costumed, candy-filled, spooky holiday with family, coworkers, or complete strangers, you’ve got a chance to raise the bar to a whole new level of fun! You’ve already bought the essentials…creepy decorations, ridiculous amounts of chocolate, the perfect costume, and a scary movie playing in the background. But, what about the drinks? And the snacks that aren’t completely loaded with sugar? Whether you’re hosting solo or going in with someone else, renting a frozen drink machine and a popcorn machine this weekend from Fiesta Freeze will bring your party to a level of epic proportions! Our machines are suitable for any type of Halloween festivities and easy to set up. You can choose from one of our popular flavors of margaritas or slushies, or you can create your own…maybe throwing in a fake eyeball here and there. You can go for the non-alcoholic drinks that are suitable for family-friendly parties or a trunk-or-treat at church. Or, you can go for the fully loaded margaritas! 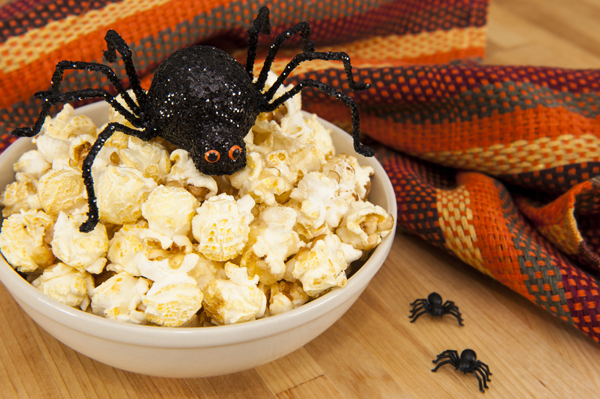 And, adding popcorn to the party – especially if there are going to be lots of spooky movies showing throughout the evening – will be a hit with all ages! Hurry and call us today to book a machine for your Halloween party! At Fiesta Freeze it’s our mission to provide our customers with the best rental experience possible. This means that you will always be treated in a professional manner during the rental process with a “Customer Comes First” attitude. Deliveries will be On Time and Complete to ensure that your next Fiesta is a hit. We serve the following areas, and many more! Dallas, Fort Worth, Addison, Allen, Anna, Frisco, Garland, Grapevine, Grand Prairie, Hurst, Irving, Little Elm, McKinney, Mesquite, Murphy, Parker, Plano, Prosper, Richardson, Sachse, & Wylie, TX. Our easy-to-use margarita machines and popcorn machines are perfect for your next office or house party. Contact Brian today!